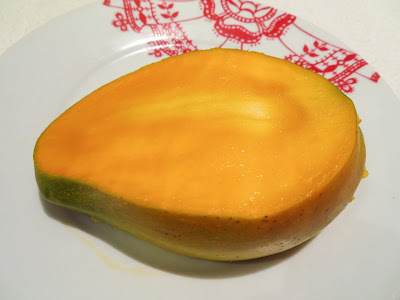 Over the past three weeks, we have enjoyed the delicious mangoes from our original Maha Chanok Seedling mango tree, and we continue to pick its luscious produce. At the same time, however, in the third week of March, we picked the first fruit from our Harumanis Seedling tree: just one, about 550-gram fragrant green fruit. Green, its skin may have been. 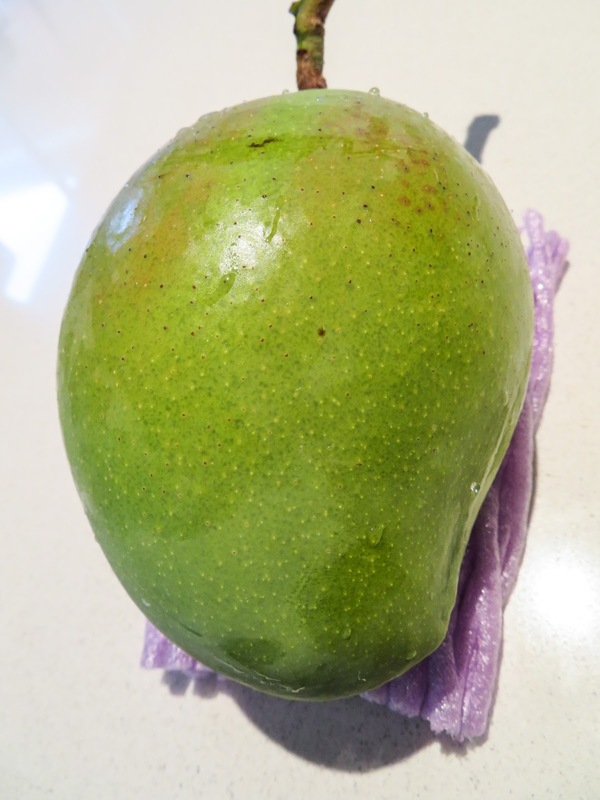 Yet, with just a couple of days of indoor ripening, it was ready to consume. Sweet. Juicy. Flavourful. And still green! The tree was grown from a kitchen-filling aromatic fruit given to us by a close friend. The polyembryonic seed was sprouted in February 2013, and the seedling tree was planted into position the following spring. Following its first flowers in October last year, we have been delivered a first fruit from this sturdy little tree.